In an earlier post I discussed bent functions . In this post, I’d like to give some more examples, based on a recent paper with Caroline Melles, Charles Celerier, David Phillips, and Steven Walsh, based on computations using Sage/pythpn programs I wrote with Charles Celerier. where the edge has weight . However, if is even then we can (and do) regard as an edge-weighted (undirected) graph. We assume, unless stated otherwise, that is even. where , , are as above. Here, is the set of weights, including (recall an “edge” has weight if the vertices are not neighbors). 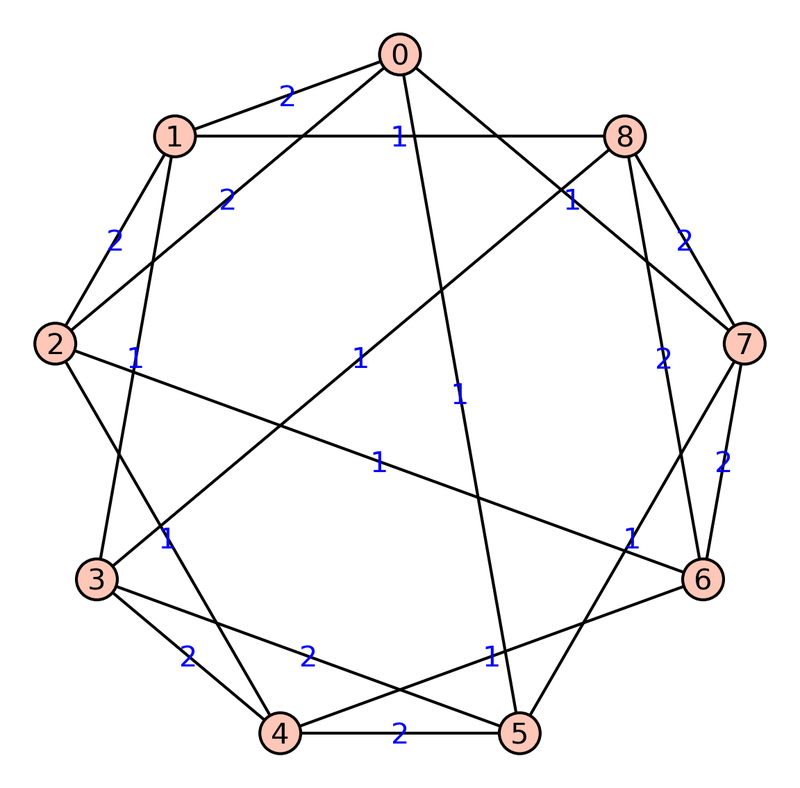 Let be the graph whose vertices are and whose edges are those pairs for which . This is a strongly regular graph with parameters . The axioms of an edge-weighted strongly regular graph can be directly verified using this table. Assume . We say is an -class association scheme on if the following properties hold. with for all $i\not= j$. For each there is a such that (and if for all then we say the association scheme is symmetric). For each , and for all , the integer is a constant, denoted . These constants are called the intersection numbers of the association scheme. in the adjacency ring of the association scheme. Let be a bent function, with . If the level curves of give rise to a weighted partial difference set then is weakly regular, and the corresponding (unweighted) partial difference set is of (positive or negative) Latin square type. For more details, see the paper [CJMPW] with Caroline Melles, Charles Celerier, David Phillips, and Steven Walsh. This entry was posted in cryptography, graph theory, group theory, math, sage. Bookmark the permalink.